Facebook Review - You will need to login using your Facebook account. 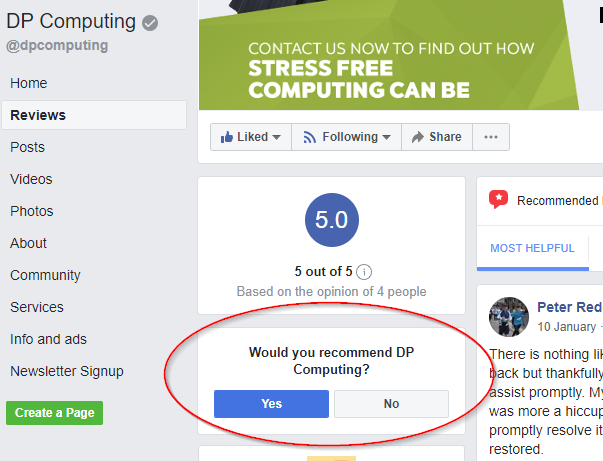 Look on the LHS and click "Yes" under "Would you recommend DP Computing" (see screenshot below). Google Review - You will need to be logged into your Google account.